A multicultural ice-breaking effort, the Cultural Mingle will start SES2019 off right! A high level speaker will address delegates with a short talk about critical challenges facing the energy industry and the power youth have to overcome these together. Each Keynote speech will lead into a plenary, which will enable deeper discussion of the topic. The sessions offer a unique chance to be inspired by some of the big names in energy. A Multidisciplinary Energy Future: Why diversity is key. A Diverse Approach: How can energy empower the SDGs? The breakout sessions take the form of panel discussions, with a diverse range of panellists alongside a student moderator. Your chance to get up on stage and speak at the Summit! The most formal and elaborate event throughout SES 2019, the Gala Dinner, takes place at the Natural History Museum. Energising Business: How is business driving the energy transition? The Innovation Jam, a crown jewel of the Student Energy experience, is an interactive and innovative session where real-world problems are solved. The Innovation Jam, a crown jewel of the Student Energy experience, is an interactive and innovative session where real-world problems are solved. 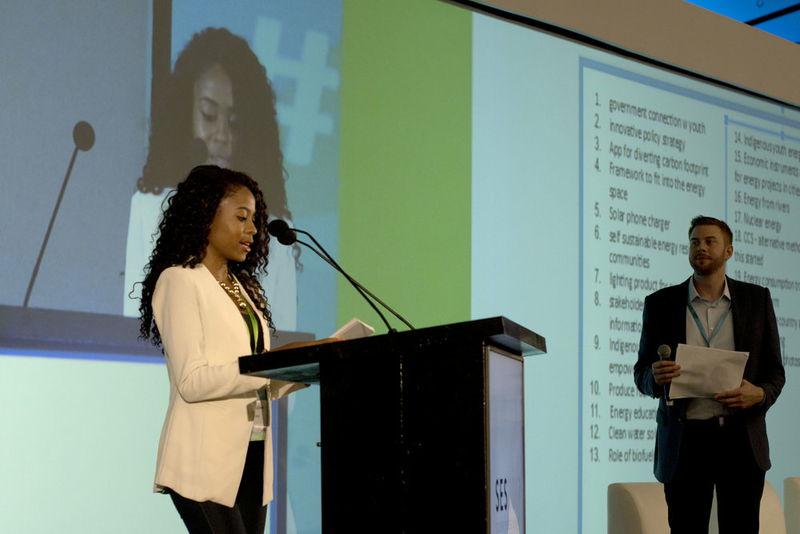 The format sees individuals or teams pitch ideas to solve real-world problems and draw on the diverse wealth of knowledge and experience of delegates at the conference to solve these challenges. Delegates will have time to work on their idea over the course of the summit and then have the opportunity to pitch their work in teams to enter the ‘Innovation Jam Finals’! The workshops provide the opportunity for delegates to engage more fully with a range of energy issues. An exciting mix of delegates, companies, NGOs, experts and academics come together at this fair. An unforgettable night not to be missed! Plenary Session: Driving Change - How can youth continue to impact our changing energy climate? Driving Change: How can youth continue to impact our changing energy climate? The final debate looks to the future, in the spirit of critical discussion and consideration of views from across the energy industry. The top teams from the innovation jam present their ideas in the final for the opportunity to win an exciting prize! Summary of the insights gained during the three days and closing remarks by the Student Energy team.